There is nothing better than spending a snowy, freezing Saturday night cooking and hanging out with good friends. We decided since the the air outside was enough to make your nostrils stick together, that would would invite our friends over for a cook-in. We decided on steaks and a baked veggie and pasta dish. 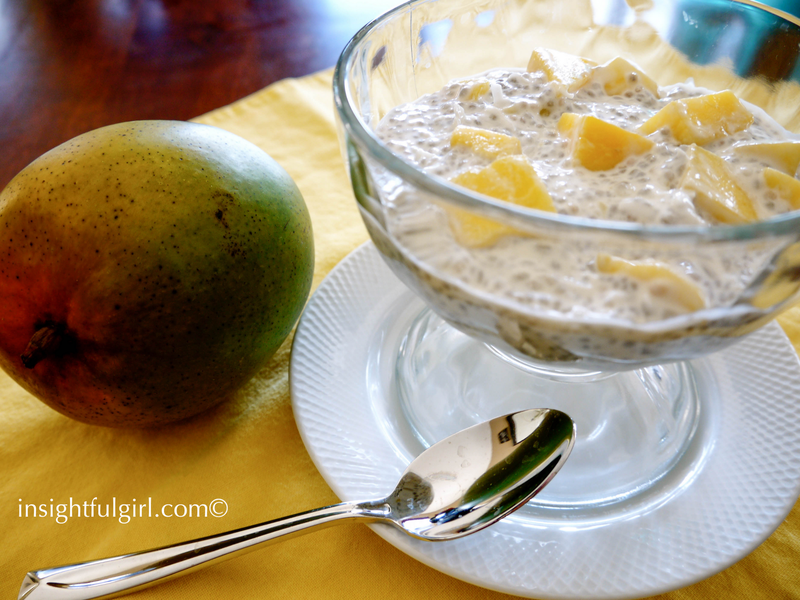 My friend, Desiree came prepared with a recipe she had found for a delicious sounding dessert. So, with the menu planned out her and I began the cooking frenzy. I have to say, having a girlfriend to cook with was wonderful. We both just jumped right in and had a blast. So, here is our dessert creation. 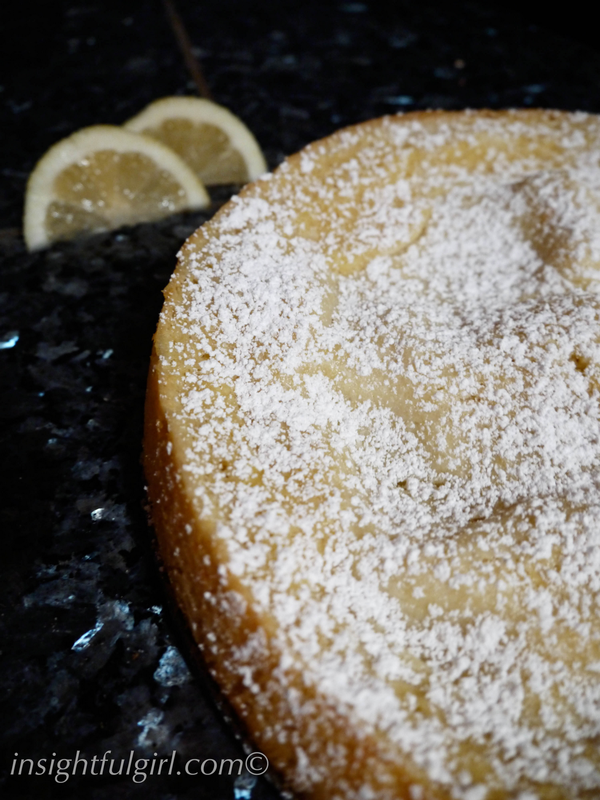 The original recipe was for a plain lemon butter cake, but we didn’t have any lemon extract on hand, so improvising we chose to use an almond extract instead. I must say, it was a great choice. Sometimes not following the directions exactly turns out to be delicious. 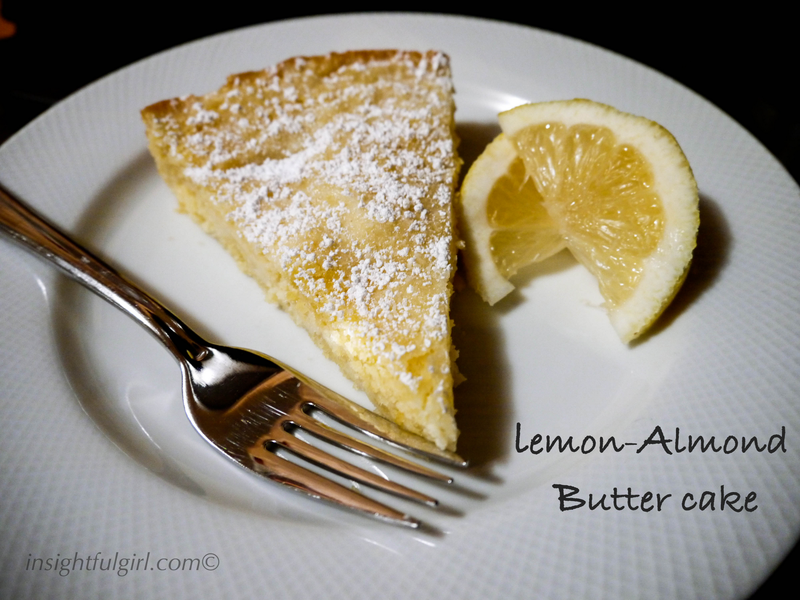 The lemon zest and juice combined with the flavor of almond was mouth watering. The only mistake we made was making dessert first and having to smell it the entire time we were cooking dinner. Having to wait until after dinner to try a piece was torture. Patience is a virtue, right? Preheat oven to 325°. 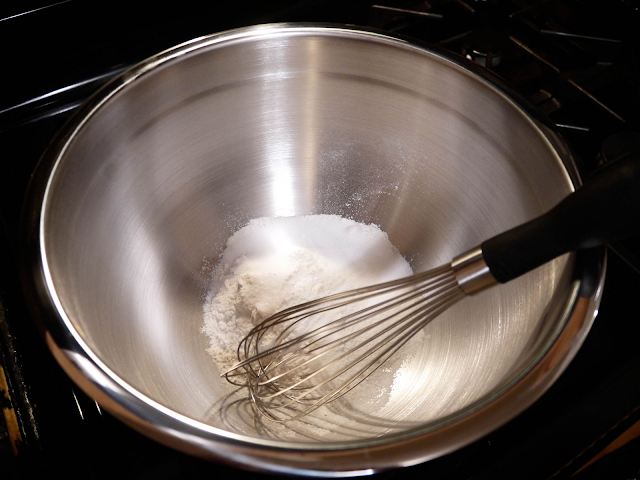 Spray a 9″ springform pan with nonstick cooking spray. 1. In a large bowl, using a mixer beat the cream cheese on medium speed for about 3 minutes, until smooth and creamy. 2. Add confectioners sugar and beat for another 2-3 minutes. Add egg and beat until well combined. 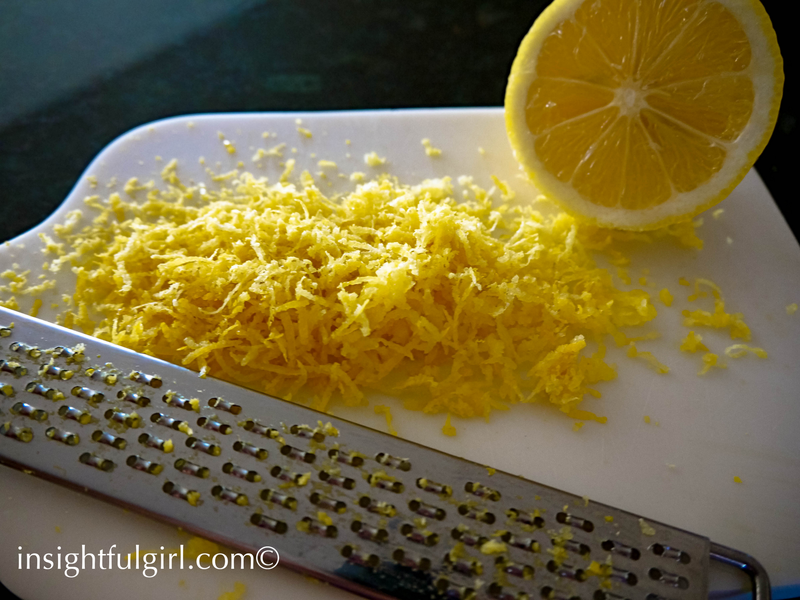 Next add butter, almond extract, vanilla extract and lemon zest beat until completely combined and set aside. 3. 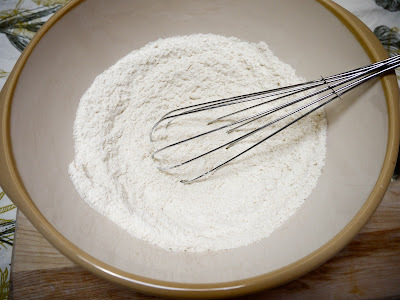 In large mixing bowl whisk together flour, sugar, baking powder and salt. 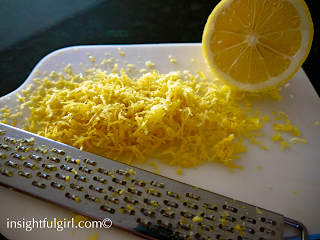 Add in melted butter, eggs, lemon juice, vanilla extract and lemon zest, whisk together until combined. Do NOT over mix. 4. Pour batter evenly into springform pan. 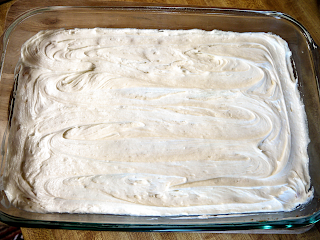 Carefully pour filling mixture, evenly over cake batter to within 1/2 inch of the edge of the pan. 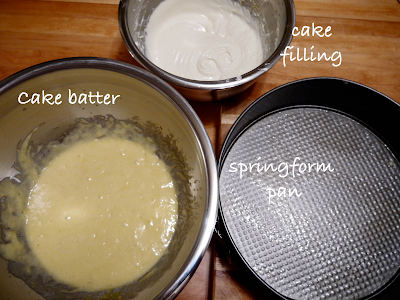 The filling mixture should cover entire cake batter except for a 1/2″ ring around the outside of the cake. 5. Bake for about 35 minutes, or until the cake has slightly puffed up and a toothpick inserted near edge of cake, comes out clean. 6. Allow to cool in pan on a wire rack for 10 minutes. Remove springform sides and allow to cool on rack for 1 hour. Place in refrigerator and allow to cool completely. 7. 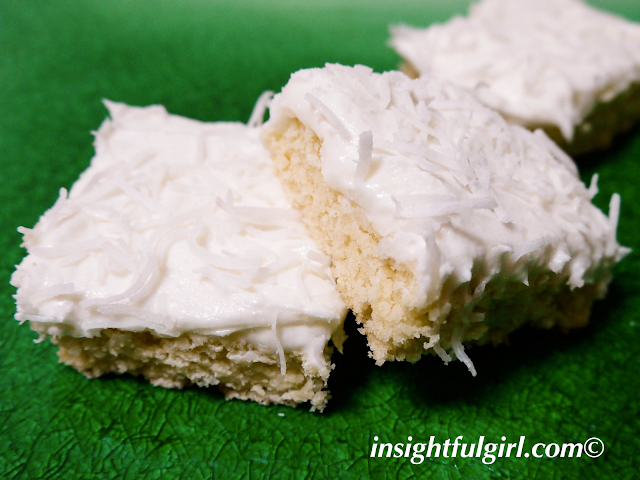 Serve chilled and sprinkle each piece with confectioners sugar. 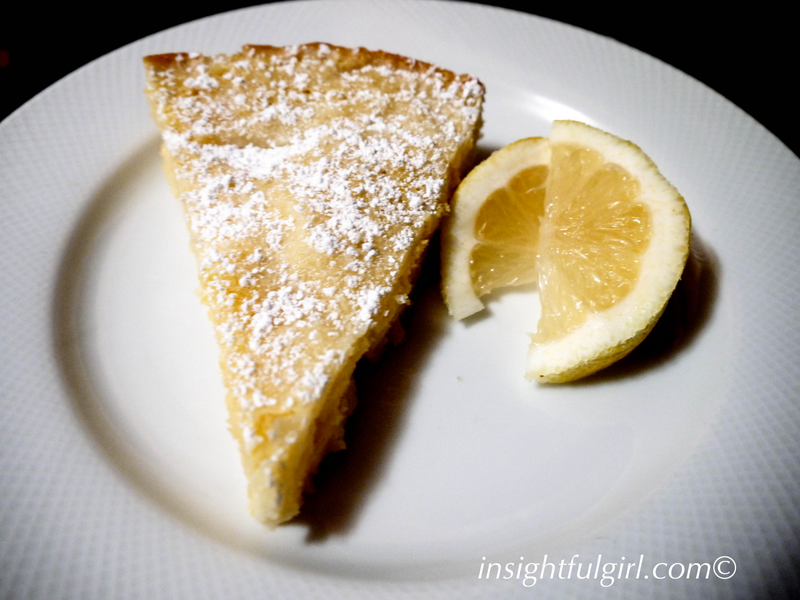 This entry was posted in Cakes, Desserts, Recipes on November 15, 2012 by Genoa11. 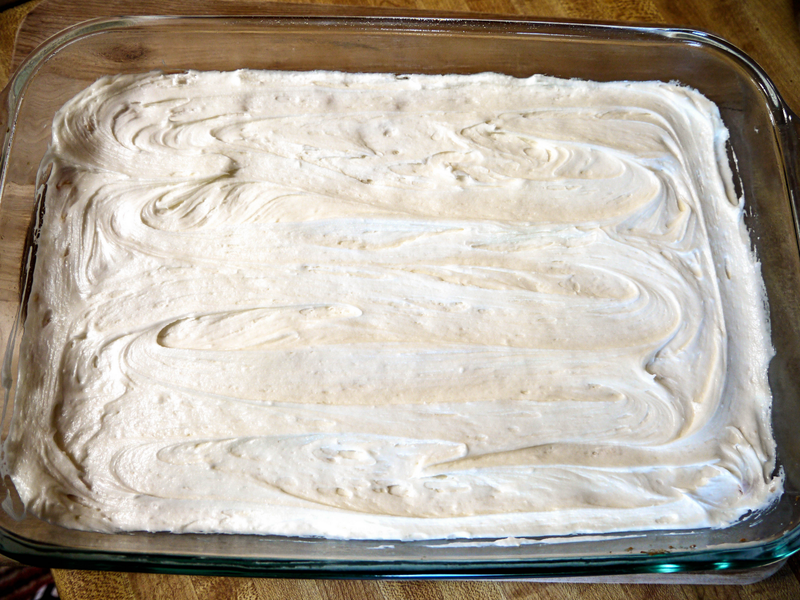 With Halloween quickly approaching, I wanted to make a dessert to celebrate the holiday. I found tons of recipes for witch fingers, spider cupcakes and eyeball cookies, but I decided on a not-so gruesome theme. I thought these little peanut butter flavored cookies, dipped in white chocolate and covered with orange sprinkles were just the thing. Besides they are delicious and look too cute for words when placed on a nice serving dish. 1. Place cookies into zip-lock baggie. Crush with potato masher, until finely crushed. 2. 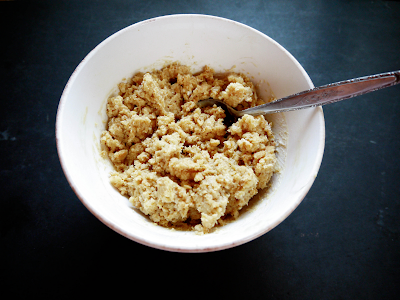 Place crushed cookies and softened cream cheese in bowl and mix well. 3. Place piece of parchment paper on cookie sheet. 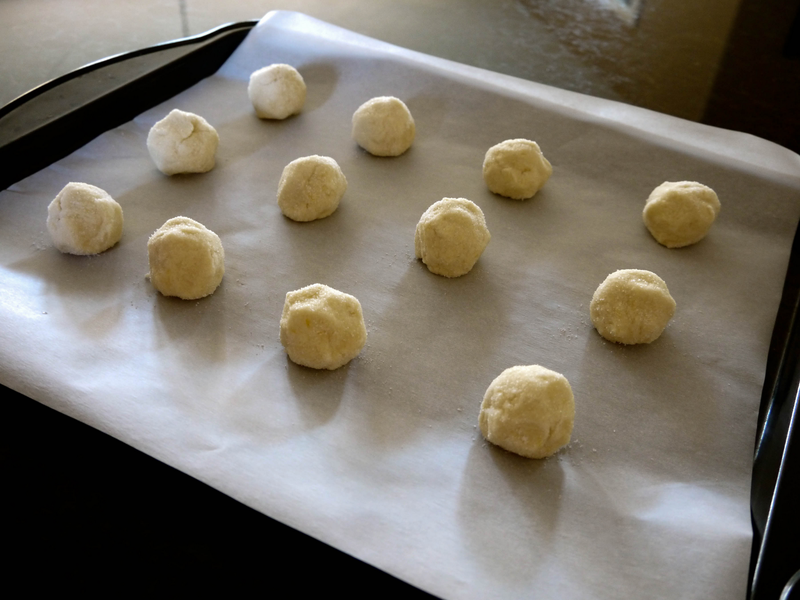 Roll cookie mixture into 1 inch balls and place on cookie sheet. 4. Place white chocolate in small microwave safe bowl. Cook until melted, approximately 90 seconds. 5. Roll each cookie ball in the melted white chocolate. 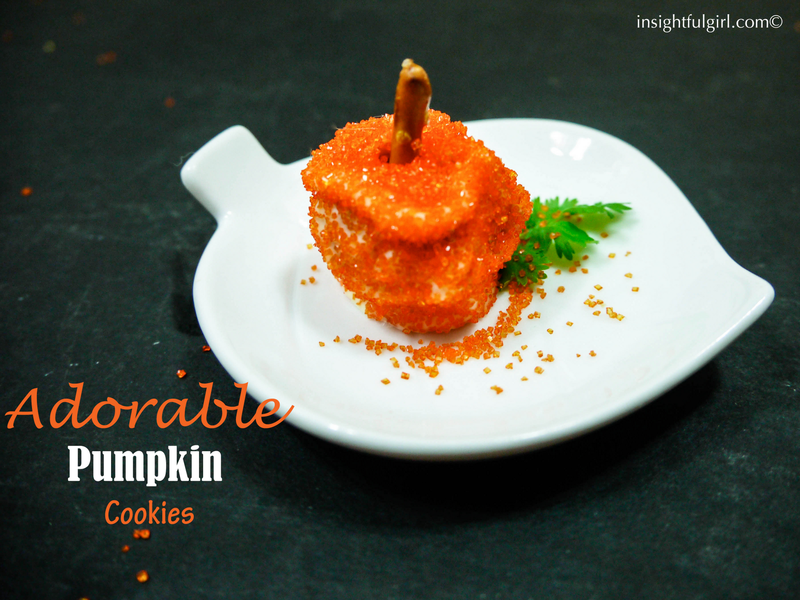 Poke cookie ball with toothpick once coated and sprinkle all sides of cookie with orange sprinkles. 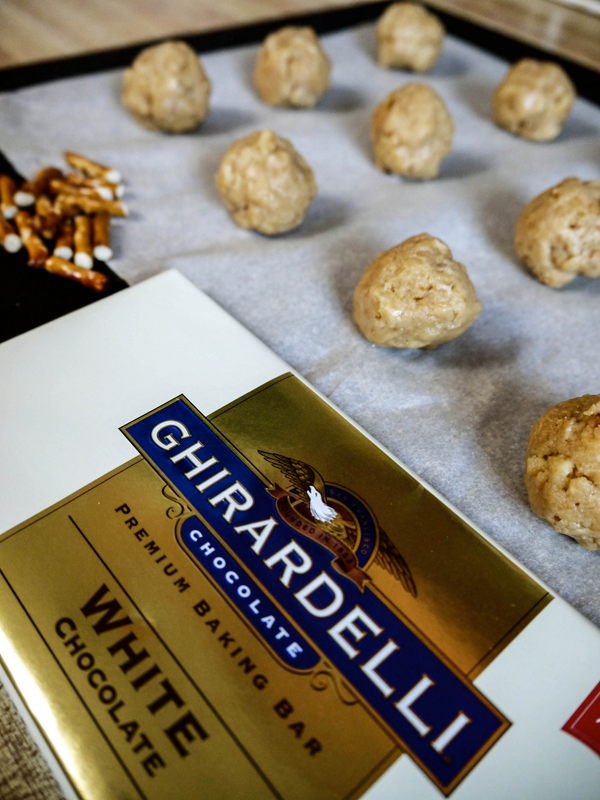 Place on cookie sheet and put 1 pretzel piece into the top of each cookie, for the stem. 6. Place in refrigerator for 1 hour to firm, before removing from cookie sheet. 7. Once chilled place in airtight container and keep in refrigerator until ready to eat. 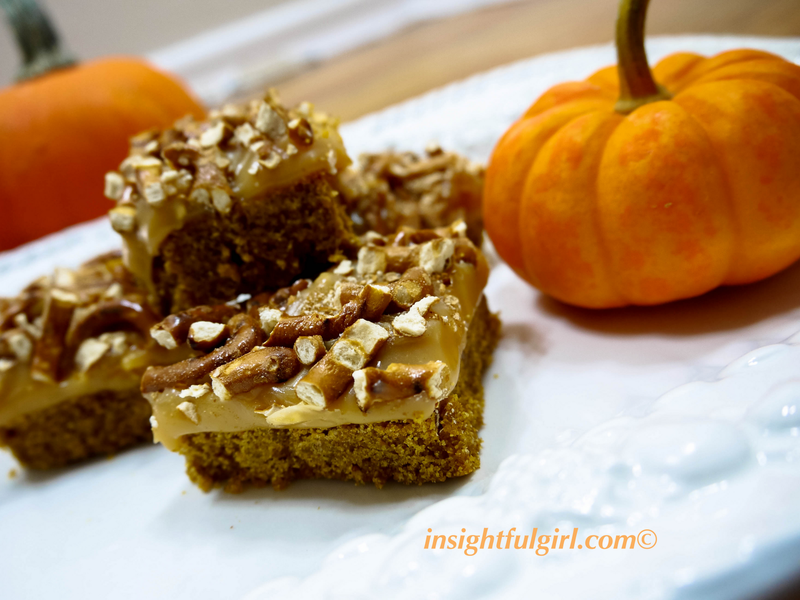 This entry was posted in Cookies, Desserts on October 25, 2012 by Genoa11. Since fall is in the air and that means pumpkin time, I decided to make a delicious pumpkin dessert. Now that I am thinking about it, I think this would be a hit anytime of the year. 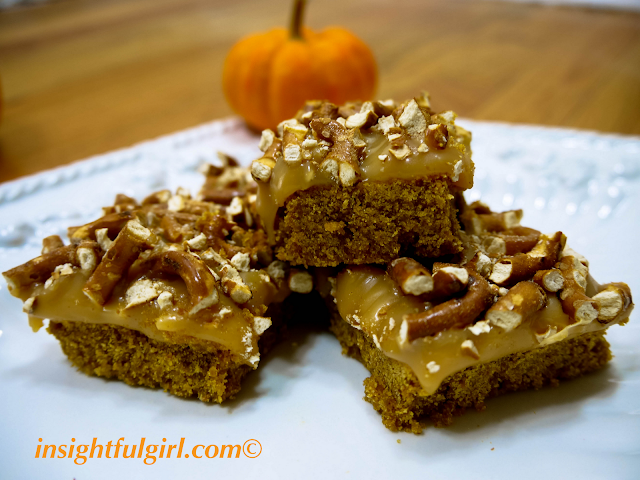 It is a pumpkin shortbread cookie with a homemade caramel glaze. 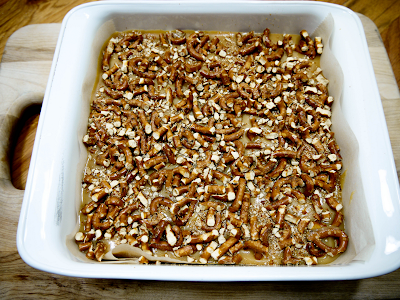 Then to top it off with the crushed pretzels, oh….yes. It’s sweet and salty. So, go ahead and indulge, your guaranteed to fall in love. 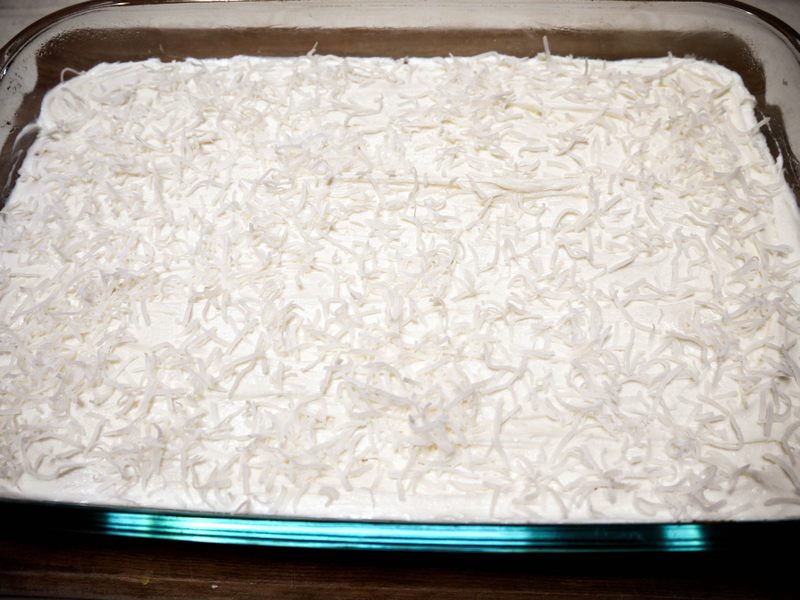 Preheat oven to 325° and spray 8″ square baking dish with cooking spray and line the bottom of the dish with parchment paper. In a food processor combine flour, sugar, cinnamon, pumpkin and butter. Pulse on low until thoroughly combined. Remove and press into prepared baking dish. 4. Pierce batter with a fork and bake for 5 minutes. 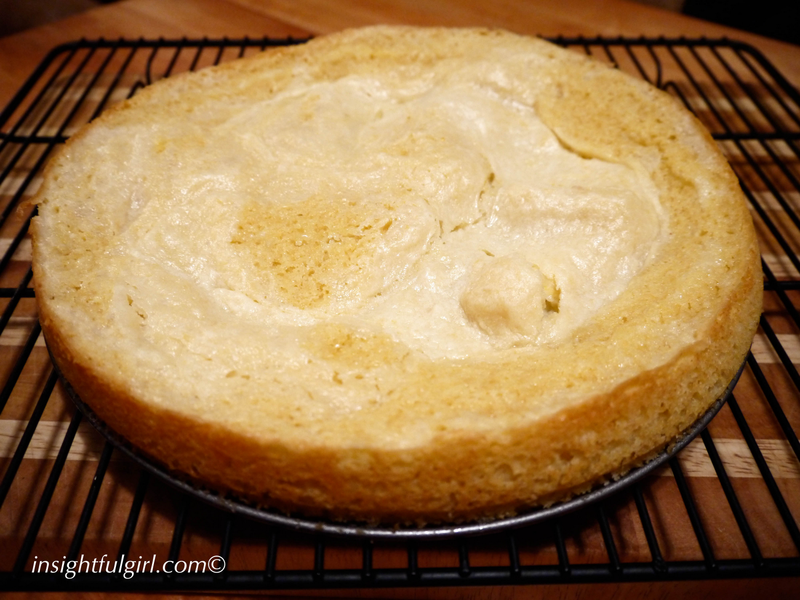 Then lower the temperature to 300° and bake for another 30-35 minutes or until batter is light golden brown. 5. Place pan on wire rack and allow to cool completely. In a large microwave-safe bowl, melt measured butter. 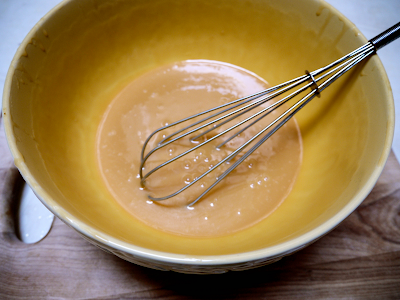 Stir in condensed milk and agave nectar, whisk together until combined. Heat in microwave for about 6 minutes. Make sure to stir the mixture every 30 seconds, the mixture will be boiling. The caramel is ready when it is a light golden brown color and a thicker consistency. 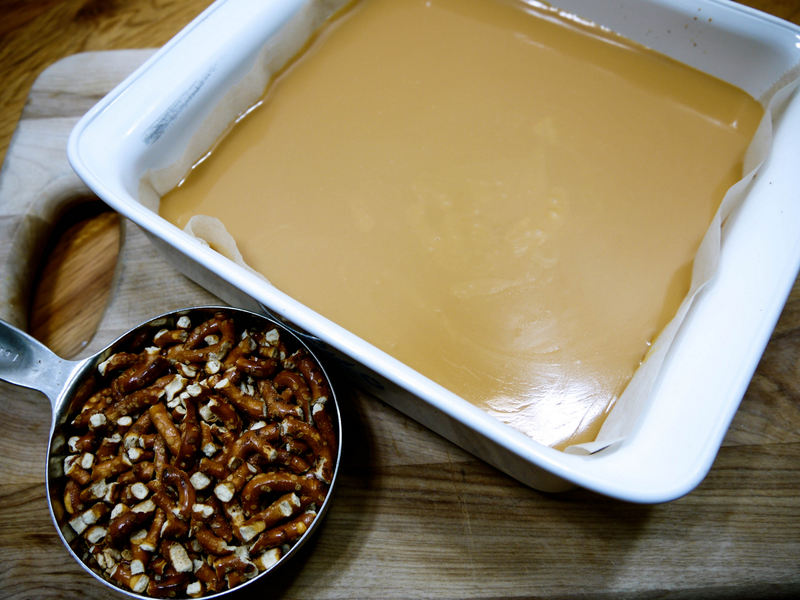 Make sure to keep a close eye on caramel while microwaving, it can easily boil over. 2. Pour the hot caramel mixture over the cooled cookie layer. 1. 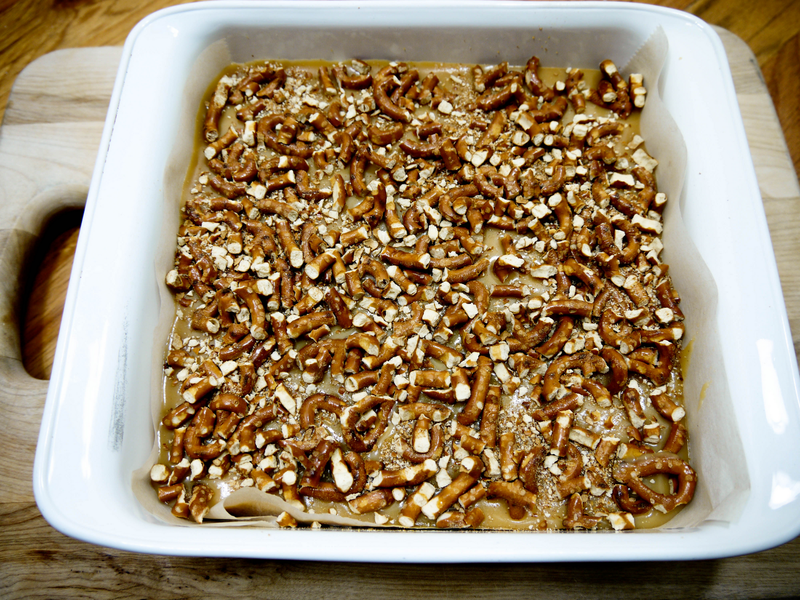 Sprinkle crushed pretzels over caramel layer while warm. 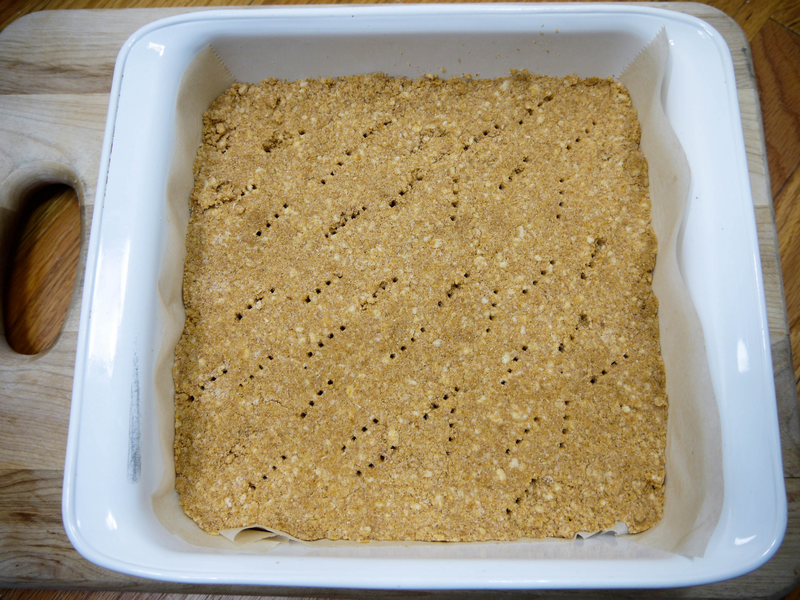 Allow the bars to cool completely. 2. 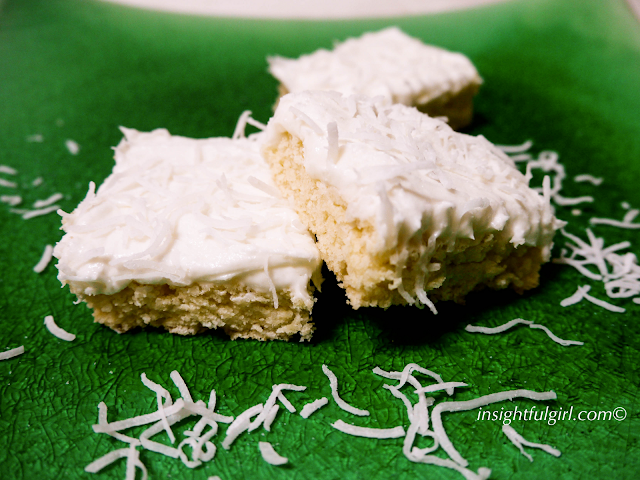 Once bars are completely cooled, cut bars into serving size pieces. Store in refrigerator and serve straight from there. This entry was posted in Bars, Desserts, Recipes on October 9, 2012 by Genoa11. So, there were two things that intrigued me about this recipe. First, is anytime I see the word coconut in a recipe, my pulse automatically quickens. I love coconut in pretty much any form raw, baked, shredded, sweetened, unsweetened, in creamer, in milk, in water….get the point. Second is my husband’s love of tapioca pudding. He loves the stuff, but when you look at the calorie and fat content of a pre-made pudding at the store, forget it! I’d rather have a heath blizzard thank you very much. 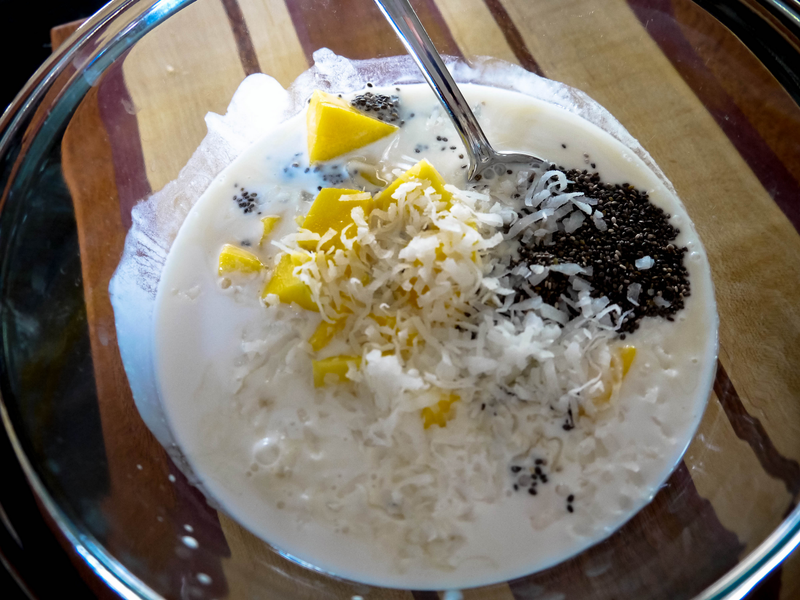 So, back to the point with adding the chia seeds to this recipe makes the consistency much like tapioca and then with the added coconut, voila you have a marvelous more healthy style of pudding. 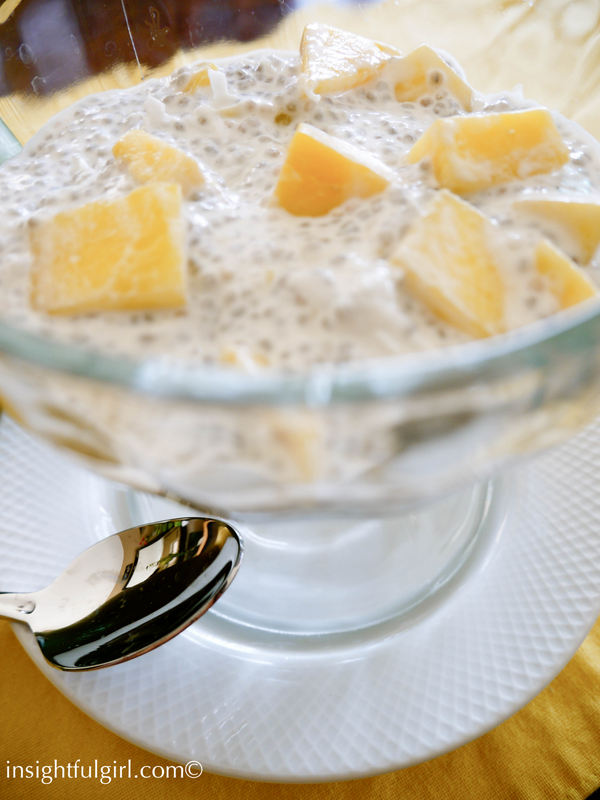 Plus, chia seeds are rich in omega-3 fatty acids, protein and fiber. 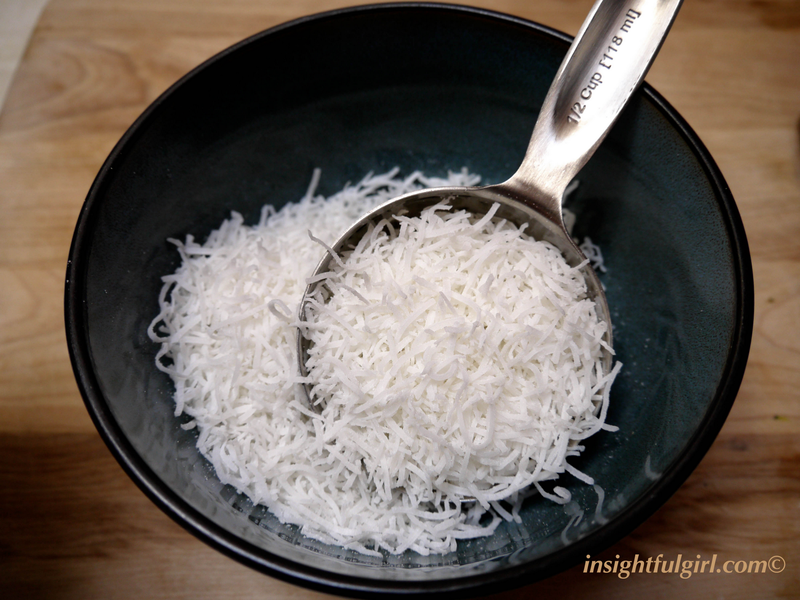 And by using the light coconut milk, unsweetened almond milk and Stevia liquid for sweetener you eliminate many of the unnecessary calories from sugar. Enjoy! Combine all ingredients in large bowl, mix well and cover with plastic wrap. Place in refrigerator over night. Hope you enjoy this delightful dessert. It’s a perfect ending for one of those last summer BBQ’s. 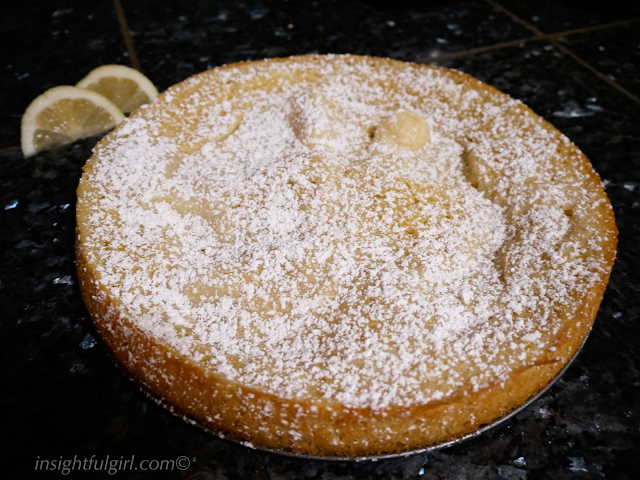 This entry was posted in Desserts, Recipes on September 7, 2012 by Genoa11. I have to admit, sugar cookies could possibly be my favorite food. If only I could live on cookies alone and still fit into my skinny jeans. I know, dream on. 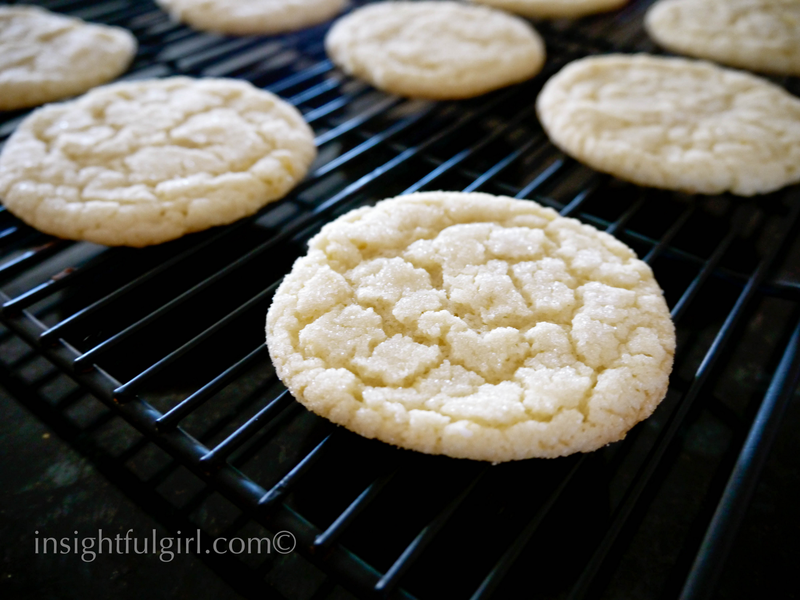 The thing I love about sugar cookies is they are so versatile. Using cookie cutters you can cut them into cute shapes and decorate them with colored frosting for any occasion. You can also add different flavors to them to change it up a bit. 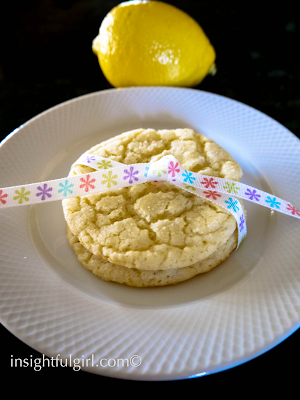 For example this recipe for lemon sugar cookies is delightful. It is a sweet blended sugar cookie with fresh lemon juice and zest giving it a tangy lemon twist. Plus this cookie has a wonderful crisp edge with a soft, chewy center. A wonderful desert for a summer get together, BBQ’s or school events. So, go ahead make a batch and see what you think. 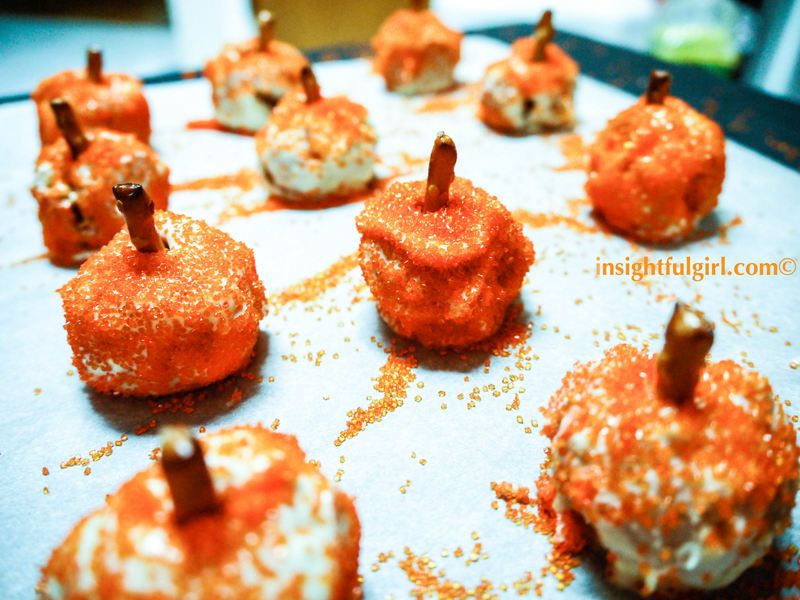 I am pretty sure they will be a hit, no matter what occasion you are making them for. 1. Preheat oven to 350 degrees. Line baking sheets with parchment paper. 2. In a mixing bowl, whisk together flour, baking soda, baking powder and salt. Set aside. 3. 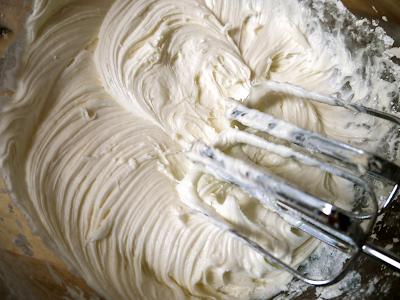 Using a mixer, beat butter and sugar together until smooth and creamy. 4. Next add lemon zest, egg, vanilla extract and lemon juice. Mix until combined. 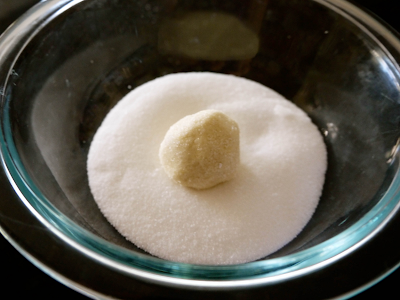 Gradually add in the dry ingredients and mix thoroughly. 5. Roll rounded tablespoons of dough into balls and then roll in sugar . Place dough balls on prepared baking sheets, about 1 1/2 inches apart. 6. 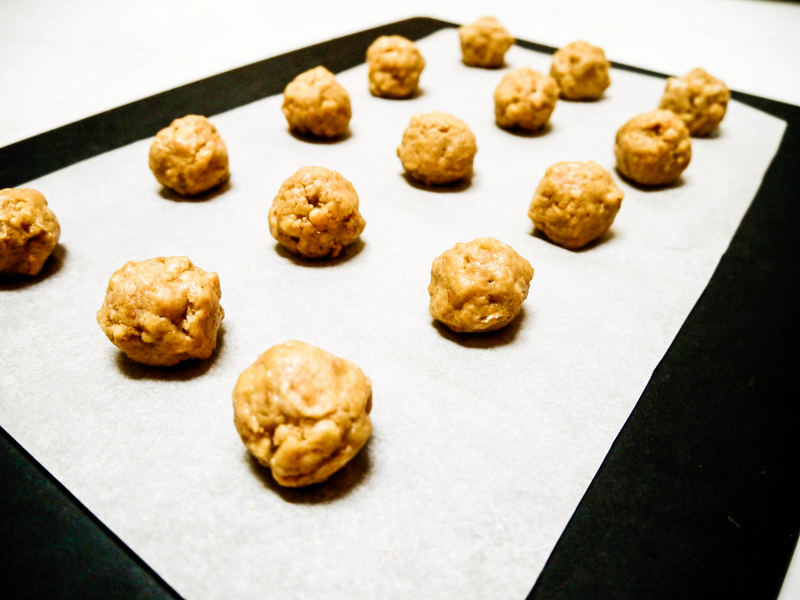 Bake in preheated oven for 8 to 10 minutes or until cookies are slightly golden around the edges. 7. Let cookies sit on the baking sheets for two minutes before transferring to a cooling rack. Allow cookies to completely cool and enjoy. Make sure to store cookies in an airtight container, so they keep their softness. This entry was posted in Cookies, Desserts, Recipes on August 27, 2012 by Genoa11.